So basically, the reason I'm telling you all about my date panic is because I didn't know what to use for a base of these fruit cups. I decided to try dried figs as an alternative. What a great decision that was! Maybe my date issue was a blessing in disguise, forcing me to try new things. Woo! I love love love figs, but I know that a lot of people don't. If you're one of those people, then just replace the figs with dates and the recipe should turn out just as delicious. 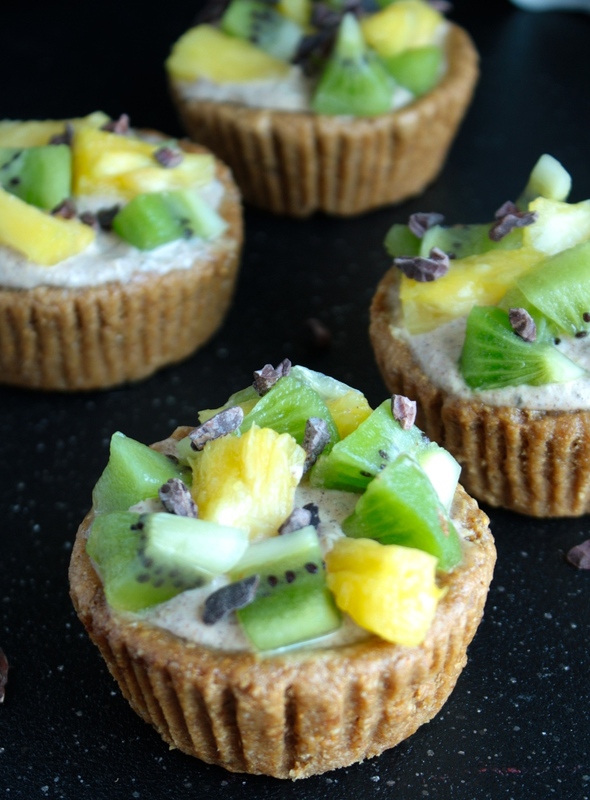 You have the figgy (yes, figgy) outside with a sweet and smooth cinnamon creme filling topped with pineapple, kiwi, and cacao nibs. Um hello heavenly flavor explosion! Combine figs and almonds in your blender or food processor. Press dough into greased or lined cupcake pans. Set aside. Blend together all ingredients in your blender or food processor until smooth and creamy. Pour cinnamon creme into cups, leaving some room at the top so that they don't overflow when fruit is added. 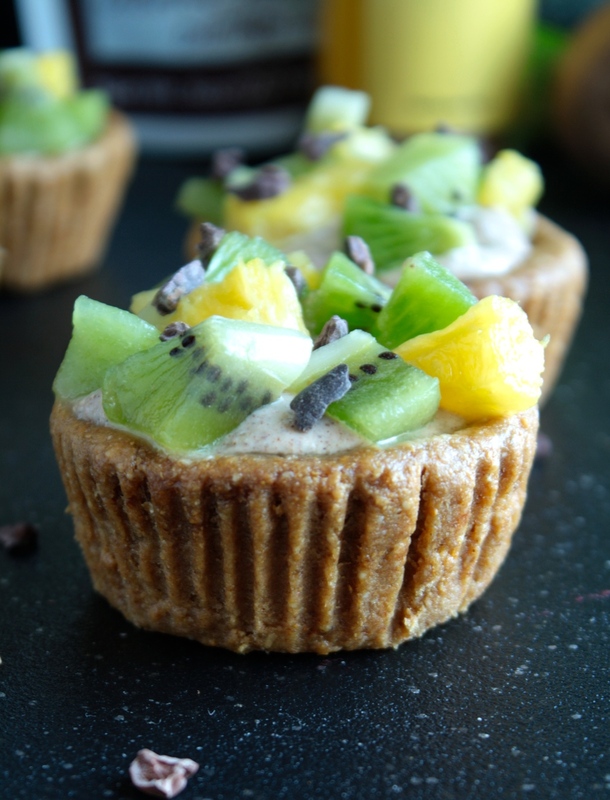 Combine pineapple and kiwi; top cups with the fruit. Sprinkle cacao nibs on top. Serve, enjoy!